Unlimited forms with Gravity Forms! Engage comes with a full Gravity Forms (and Contact Form 7 too, of course) plugin support. 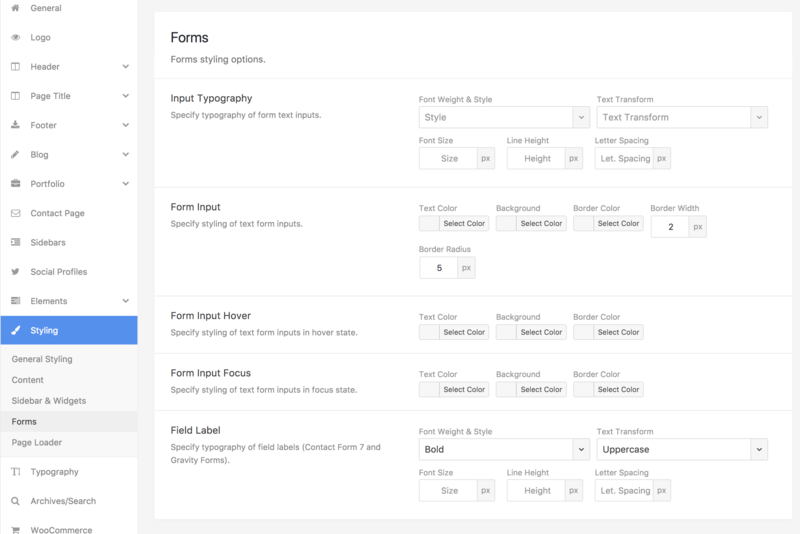 It’s definitely the most powerful form builder available for WordPress out there. Engage allows you to fully customize your website forms. Just go to Theme Options / Styling / Forms and feel free to adjust the input and/or label typography, change the input border color, width, radius, hover and focus states & so much more!